How Locked-In Is YOUR Shyness? How many apply to you? Four or more and it's possible your shyness has in fact become "locked-in." Before I turned on my confidence, I said 'yes' to EVERY statement above. That's a cycle of feeling worthless I don’t wish on anyone. Which Is Why On This Page I'll Share With You The Exercise-Based Strategy I Used To Overcome Shyness And Lock My Confidence To "Always On"
It’s an evidence-based method that fixes the buried psychological glitch causing shyness, so you eliminate your nervousness and self-doubt at the source. So you'll forever remove the danger of staying alone and socially powerless to the end. And finally enjoy a full social life of close trustworthy friends you can be yourself around. …because if you currently find it hard to flow socially and connect in the exact same ways I did, then I don't want you making the same embarrassing mistakes I made. Do You Also Get Awkward Talking To People You "Want Something" From? My name is Dean J. And I was NOT always confident and carefree socially. I didn’t always enjoy a huge social circle. 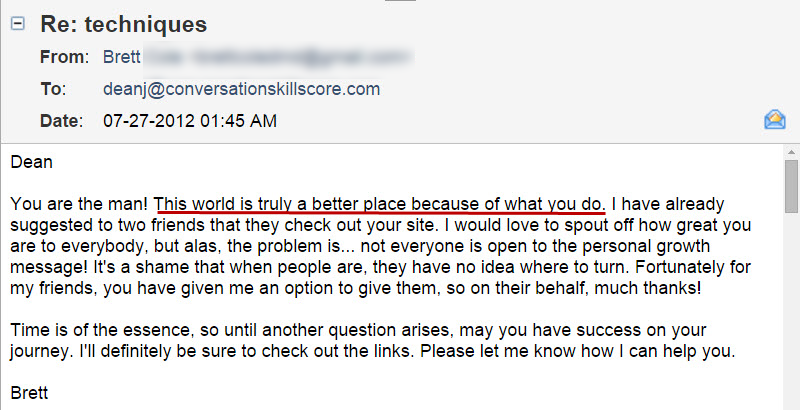 And I certainly wasn’t always invited to write articles for some of the net’s top personal development sites. See years ago when I was still in college, I was so lonely, I sometimes felt empty. In classes, I wanted to connect with people. Yet I'd sit there quiet while everyone else chatted casually. At work it was the same. I’d get left out while co-workers bonded over drinks. I mean sometimes, with some people I could do okay. But around a group or person I “wanted something from,” I’d fall back into my insecure, awkward ways. If I stayed quiet to avoid rejection, I got ignored. Yet if I tried to reach out and get closer, I'd drive people away. ARGH! How Did I End Up In A Freaking Bar Again...? That night, my roommate, Jay, dragged me out to Reggie's. Which was a local college bar. I hated bars back then. I never fit in and it drained me. Which is one reason why usually on a weekend night, I’d be home alone and bummed about not having a life. Well, I had no friends to invite me out. Yet that Friday I guess Jay could tell I was more depressed than usual. So I think he invited me to Reggie's out of pity. Inside the bar, I followed Jay around like a puppy. Afraid to branch out and talk to anyone. Me, Jay and a girl he knew were talking when someone called Jay’s name from across the bar. He quickly ran over to them. Leaving me. Standing there alone with the girl. The vibe immediately became uncomfortable. I had no idea what to say to her. She sort of fidgeted there for a second. Looking left and right. Yeah... she never came back. I felt sick to my stomach. "What's Wrong With Him? He's So Weird!" I wandered around Reggie's alone, feeling pathetic and sad. Knowing I was the "creepy guy" standing by himself. The girl who had literally run away from me earlier. She was standing in a group, all of them giving me disgusted looks and snickering. Would I Always Miss Out On My Life Like This? Laying awake in bed that night, I imagined my life being like this for another year. Another 20 years of being powerless, alone and laughed at. Of missing out on my life and never feeling special. I decided right there to do whatever it took to destroy my shyness once and for all. Or go down trying. Have You Also Been Fed A Bunch Of Lies? Ever heard that you need to learn 93 social tricks to get people to like you? Or that you must memorize 101 conversation starters? Or scripts of exactly what to say and do? Yet none of it worked for me. All it did was clog my brain with too many tactics at once. Or make me sound stiff and ridiculous. In the end, I never gained the respect and friendship that seemed to come so easily for others. And the reason is because all this typical advice is what I call SOCIAL SHORTCUTS. It’s just clever marketers taking advantage of the pain and confusion we suffer. Because the advice just isn’t specific enough. It doesn’t give enough explanation or step by step strategy of what to do. And more importantly, it doesn’t fix the REAL problem causing your shyness in the first place. So you your confidence and skills never stick. See the marketers who give this type of advice likely never really experienced shyness. Or they’ve totally forgotten what it’s like. They just don’t understand the self-doubt, the utter lack of connection, we face daily. Keep reading and you’ll learn the TRUTH I discovered about defeating shyness for good. I decided to get serious about overcoming my insecurities. So I dug up REAL research on shyness and social anxiety. From experts who explained the psychology behind why we draw blanks and don’t know what to say. I added Interpersonal Communication to my college workload. And I discovered the science of how people really connect with one another. I dove into the latest brain research. Revealing the buried psychological glitch that keeps people stuck in shyness year after year. I secretly listened in on social naturals. And overheard the ways they started conversations... and kept them going. I even worked up the courage to interview some of them. And they confessed some unexpected requirements popular folks look for in new friends. With increasing confidence, I joined an improv comedy troupe. And learned strange yet effective techniques to pull fresh ideas out of the blue when needed. Combining all I had discovered, I became a social scientist. 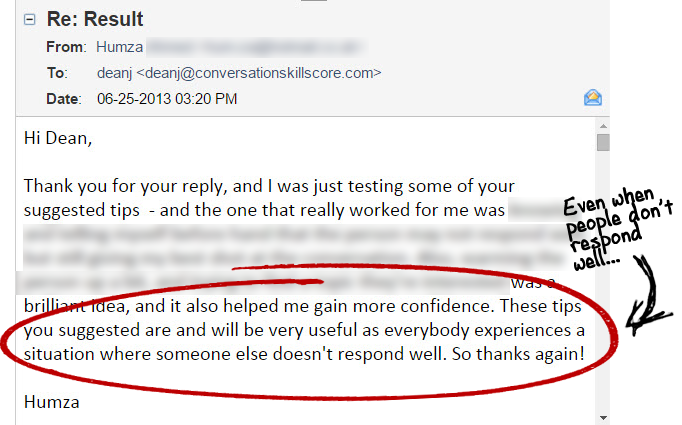 Yet after a couple of weeks, my confidence and social powers began to soar! I finally became confident talking to strangers. Even in bars! I literally made friends around the world and had fun adventures with them. I began dating regularly for the first time ever. 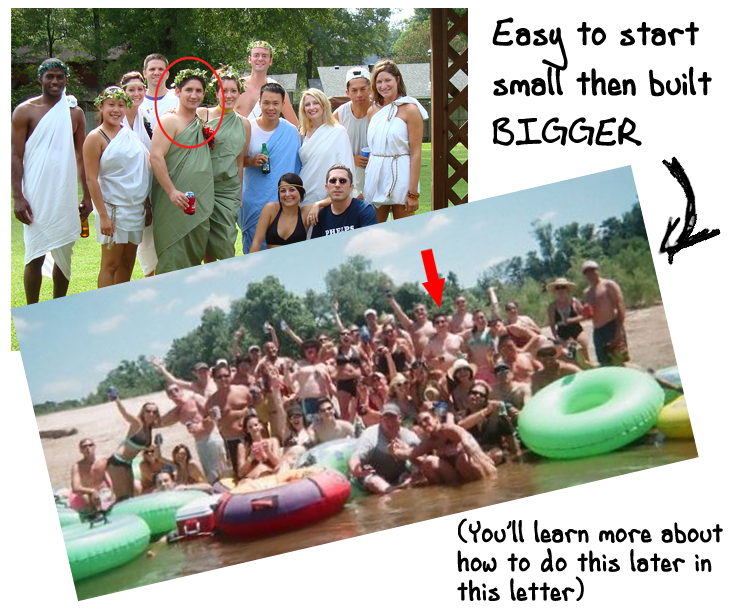 And thanks to these methods, I've enjoyed building social circles from scratch. Some intimate and cozy. Some huge groups of 50 or more. Relying on others to befriend me first was now a thing of the past. 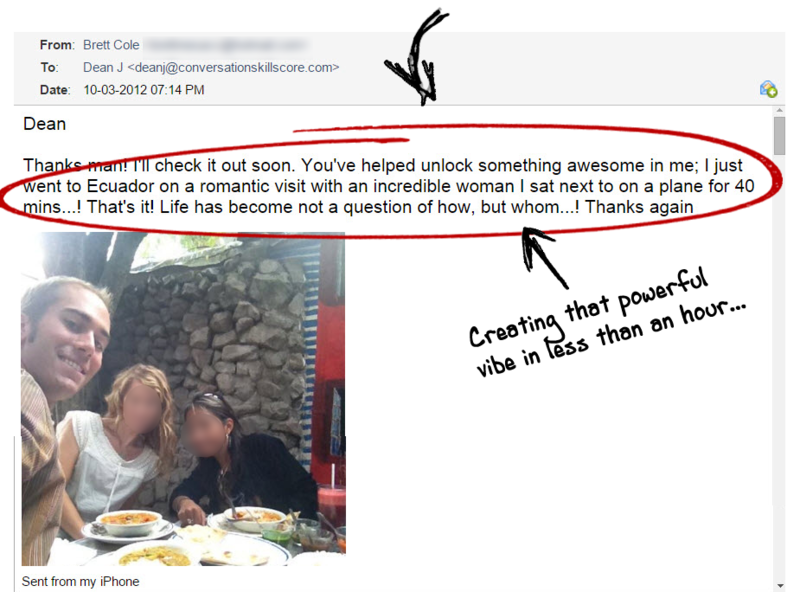 One that almost “magically” resulted in people inviting me into their inner circle within hours to days of meeting me. WARNING: When you start to evolve socially like I did, people notice. …some of my old friends who also suffered shyness asked what I’d done to change SO drastically. Have you ever wondered WHY no matter what you do…no matter what you say to yourself…you ALWAYS seem to fall back into your shy, awkward, nervous ways? Or WHY you can do well with some people, in some places, but with certain intimidating people, it’s like your confidence evaporates and you’re back to square one? Well not knowing the RIGHT social skills is likely part of the problem. But really, only a small part. The biggest reason you may struggle is because your fear of rejection is on overdrive. That fear saps your confidence. It drains your brain’s ability to think up things to say. It creates nervous, subconscious “micro-expressions” others sense. And this ALL makes you seem awkward and less worth people’s time. People who can effortlessly and confidently flow socially don’t have that fear. On a cellular level, the part of your mind responsible for socializing has become directly linked to your brain's fear center. See, I discovered this psychological glitch because of new research into neural pathways. 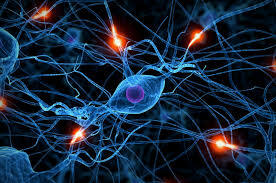 Neural pathways are physical cellular connections in your brain. Your skills and beliefs. Your self-image, habits and emotional reactions. For someone who often feels uncertain or insecure socially, these links have become locked into a “destructive neural pattern” of fear. This happened because of conditioning from your past experiences. When your peers or parents humiliated you. Simply because they didn’t understand the type of person you are. Those real, physical links in your mind strengthened over time. So now, these cellular connections won’t just go away when you learn some new conversation trick. And as long as they’re there, you’ll continue to fall back into your shy, awkward ways. 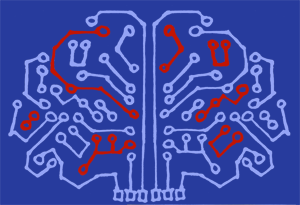 Yet what if I told you these neural patterns are not locked in forever? That there are actually new, cutting edge methods to un-lock your neural connections to fear. And re-route them to feelings of confidence. I know this sounds a little like science fiction. Thanks to research by psychologists Terje Lømo and Tim Bliss this is now possible. Which shows neural connections can strengthen or weaken when the brain is used in certain unusual ways. I combined this research on synaptic plasticity with other evidence-based methods I’d found. 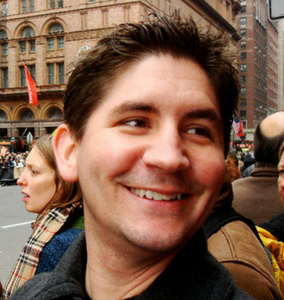 Even mixing in the high-impact social skills and improv techniques I’d learned. In the end, creating my Perception Patterning System of mental, emotional and social exercises. Many of which can be done alone at home. Yet instead of building muscle, Perception Patterning exercises build confidence and social skills at the deepest level. Since they are psychologically designed to reactivate the childlike plastic nature of your mind. So you can quickly re-pattern your brain. Permanently eliminating the neural patterns of shyness that have been sabotaging you all your life. And instead installing NEW patterns. Similar to the ones confident, charming social naturals have. So that meeting new people automatically triggers feelings of being comfortable and relaxed. Just like with trusted friends. 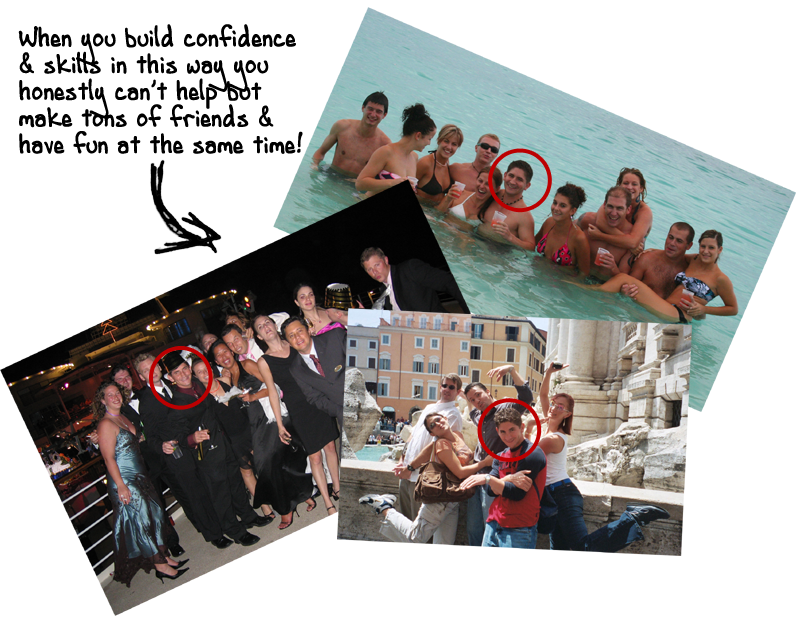 I put together a simple document on these exercises for my “inner circle” of close friends. That little Word doc quickly got noticed (hey, people talk — even close friends). Soon they were begging me to create a more detailed, step by step version. I was hesitant at first. I mean, I’m an introvert. I like my privacy. Yet I remembered how much I struggled with shyness and insecurity. And it wasn’t something I’d wish on anyone. I realized I had the power to create a real difference in people’s lives. So I decided my mission would be to make shyness a thing of the past. 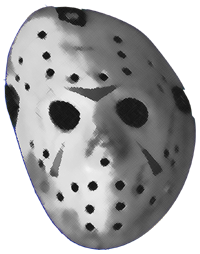 I combined ALL my strategies and research into one package. And it's the only exercise-based system that fixes the buried psychological glitch causing shyness. …without taking pills, acting fake changing who you are, or getting paralyzed with 100s of ridiculous techniques and scripts. Even if you're awkward with most people OR only some people in some places. ...if you're too intimidated at times to approach new people. ...you currently have no friends at all. ...you're not rich or super attractive. ...if you feel you have nothing to offer and people find you boring. And especially if you've tried everything you can think of and you're still not seeing the results you really want! Don't You Think You've Been Lied To Enough? Fearless Flow is not some guide of 93 unorganized conversation gimmicks with no step by step system to implement them. It won't make you change who you are by being loud, obnoxious or bubbly. And It's not simplistic advice that assumes you're already confident. So it doesn't tell you to "just be yourself" or start by asking you to talk to 5 strangers on the street. Isn't it time to start using what's PROVEN to work? As well as examining the REAL reasons behind repeat shyness "failures." And, from this moment forward, the secrets of the truly confident can NOW be duplicated easily by you. And that means quickly getting people to let their guard down and chat with you, without seeming fake or creepy. Y'know, someone looking for a "magic bullet solution" that promises instant confidence and friends overnight. Yet still want the quickest way to achieve lasting confidence and charm. If YOU want to effortlessly flow when speaking to anyone, without fear of being rejected. Fearless Flow isn't "an" answer for you it's the ONLY ANSWER for you. 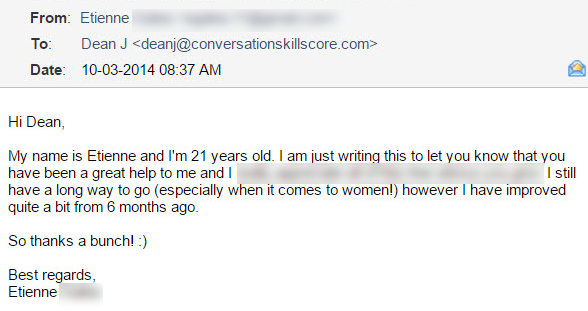 I would like to thank you Dean you have changed my life. I consider myself extremely fortunate to live at a time when I have such great resources (such as you) and I am eternally grateful. I am so happy that I have finally figured all of this out and especially while I’m still young. I can now live out “the best time of my life” thanks to people like you… I was in such a dark place before I found you and I honestly believe that getting out there and facing my fears has saved my life. You are a life saver. 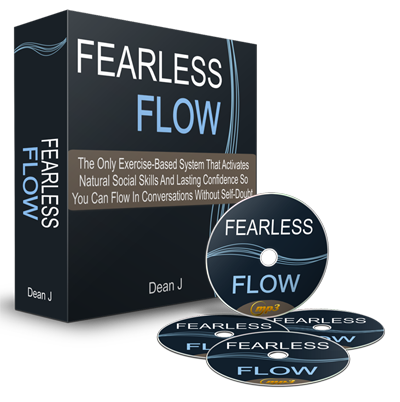 Immediately upon signing up, you’ll be able to instantly download the Fearless Flow system. In just minutes from right now, you'll have all the answers laid-out in front of you. Which you can listen to from any of your devices: mp3 players, phones, tablets, or computers. So you can listen at home while taking notes or on the go while jogging or driving to and from work. See all of the most important principles at a glance. So whether you want to follow along while listening or just brush up on skills later, it’s quick and easy. No more guessing what you should do next. Just follow the steps and check off the exercises as you go. Finally a social skills course that’s as easy to follow as ticking off a shopping list. What Would Having True Confidence For The Rest Of Your Life Be Worth? I’ve lost count of the number of people who’ve said my strategies have changed their entire approach to becoming more confident and charming. That it’s the most effective approach to beating shyness. …what would ending your loneliness for good be worth to you? Finally lifting that weight off your shoulders. Imagine waking up each day excited. Certain you’ll be able to effortlessly talk to and charm the people you meet. You feel confident like those charismatic naturals. You approach with a confident smile, open your mouth, and you know what to say. You hear yourself flow, saying fun, authentic things off the top of your head. You see these new people smiling, responding great to you. You’ve made a connection and who knows where it could lead in the future. I don’t know if I could have put a price on that kind of happiness when I suffered from shyness. What Does Shyness And Insecurity Currently Cost You? There’s the regret of all those missed experiences right? Romantic encounters that could have been. Joyful memories that never happened. It can last for years and years. Yet that price is NOT for you. I have a much better deal headed your way. So by all means, keep reading. This bonus alone has more and better information than most full courses out there. Yet you're getting it free with the fearless flow system. This short yet powerful guide reveals simple techniques to quickly hack your body language, so others subconsciously think of you as more confident and high-value. We’ve all heard non-verbals play a huge role in how others perceive you, yet there’s so much advice on the subject, it’s hard to know what to focus on. These 5 simple hacks give you the biggest results for the least effort, so you can impress others without even having to open your mouth. Because I want to be part of the force that puts a dent in the shyness epidemic. This means you won't even come close to paying $295 for Fearless Flow today only, and only on this page.. If you were to hire a coach to teach you this stuff over Skype, you’d pay at least $100 per hour or more. 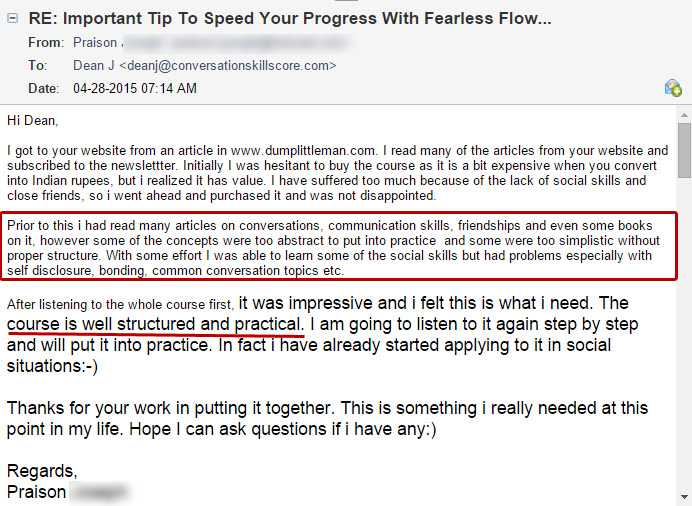 And the Fearless Flow system, it has over 6 hours of life-changing content, so you’d be looking at $600 right there. If you were to get a therapist to help with some of these issues, the cost would likely be even higher. Yet for the price of a dinner out for two, you change your life from this moment on. So that every future dinner date, party, after-work drink, and more becomes fun, enjoyable and SO much more worth attending. Because you’ll finally have the power to socialize normally and attract people to you. Using Fearless Flow you’ll go from dreading social get-togethers and cursing the fact you never know what to say TO ABSOLUTELY LOVING social get-togethers… eager to pack your schedule full of fun plans with new friends. I would definitely recommend the Fearless Flow program. It has not only given me the framework to improve my conversational skills, but gave me a sense I was not alone in my struggles, which has actually been comforting. Realizing this gives me a sense of confidence as well. I think as you have been through it yourself its very good, as you can relate to it personally and help guide people through and identify and share what others and yourself have experienced. I’ll gladly give you a full refund. And you can keep all the bonus books just for giving it a shot. Wouldn’t you like to live it? In other words, today I’ve showed you how to be bold and comfortable with everyone you meet. Doing it — however — is up to you. All you have to do is click the button below to get started. You’re fully protected by the 60-day, triple guarantee terms. So there’s nothing to lose. Zilch. Look, “someday later” often never comes. NOW is the time to live your life fully. If you do nothing, nothing will change. You’ll wake up a year from now or 25 years from now still trapped in your insecurity, your life having passed you by. Yet you can change all of that. All you have to do is click on the button below to get started. This is your chance to finally experience the full, fun and exciting social life you’ve always deserved. But I promise if you put the work into learning and implementing this system, it will change everything for you, for years to come. Just unlimited potential for your life with the best confidence and social skills course on the market. That’s a no brainer, my friend. All you have to do is click the “Add To Cart” button below now. … and you’ll take your place alongside me and the rest of the bold (and formerly shy) peeps who’ve used Fearless Flow to make life follow OUR rules. Here’s to being bold, confident and living life FULLY. …and the Fearless Flow system is your key. Remember, this is the only system that uses actual exercises based on real research to boost your social skills, AND eliminate self doubt. You could still be frustrated, wishing you knew how to confidently talk to people. OR… You could already have a fun social life full of new friends. You could still be struggling to make all the bits of free information out there work for you. OR… You could be following a step by step proven system for social success. Isn’t it time for your success story? You’ll get download access to Fearless Flow instantly. So you can dive in and get your hands dirty (and get your mind blown to pieces). 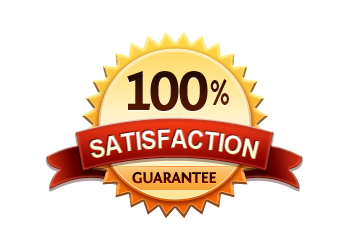 Remember, you’re covered by a zero-risk full 60-day 100% money back guarantee. 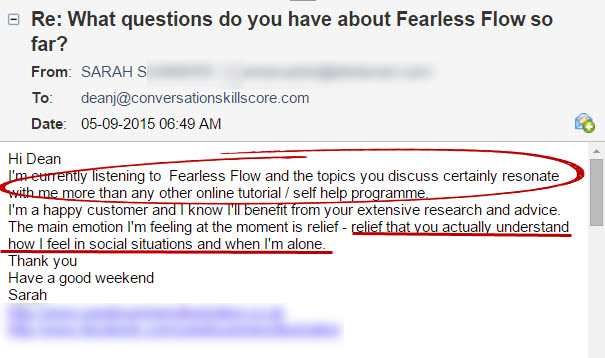 I want you to test out the Fearless Flow Conversation System (and ALL the bonuses) for a full 60 days! If you’re not thrilled with your results, I’ll give you your money back. No questions. No hassles. Q.How long does it take to improve socially? A.You’ll feel a noticeable improvement in confidence and skills within the first few days of doing the exercises. And you can expect to experience a major life-changing shift in your confidence and ability to talk to others within 28 days from today. That’s because unlike books such as How to Win Friends And Influence People, or even studies by leading shyness researchers and therapists, Fearless Flow offers you simple to understand action steps you can easily apply. Do the exercises, and you get better in REAL life. It’s that simple. Q.Won't it change who i naturally am? A.Becoming outgoing and confident does not mean being obnoxious. Besides, who you are is a combination of many things: your preferences, your opinions, your experiences. If you’re currently reserved and insecure, I say you’re less yourself because you have less power to reveal those traits to others. By becoming more outgoing and confident with my system, you can boldly show others more of who you are. So if anything, this course makes you more you, not less. A.No it isn’t. Neuro-Linguistic Programming can be very difficult for some people. It requires lots of abstract visualization and there’s always this lurking doubt it’s not really working. Plus I don’t know of ANY reputable studies that verify its effectiveness. 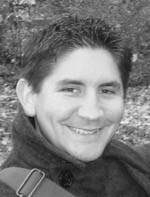 The strategies used in Fearless Flow on the other hand are based on therapeutic practices that have been proven to work by tons of independently reviewed studies. Q.I've tried facing my fears by being more social but my anxiety has gotten worse. A.This is likely because you’ve been facing your fears in the wrong ways. Taking advice like, “just get out there” or “just be confident.” That advice lacks the specifics of the scientifically supported way you build confidence and social skills. My solution gives you a step by step approach so you’re not left guessing what you’re doing wrong. Q.The conversation examples in most courses are unrealistic. I can't bring myself to use them. Is Fearless Flow more of the same? A.No it’s not the same. See, it’s true, most courses ask you to talk like you’re from the 1950’s or suggest crazy conversation starters. All that does is make you sound awkward and unnatural. It makes being more social harder. That’s why fearless flow helps you build natural social skills that work in a wide variety of situations. So you come across as down-to-earth and relatable. 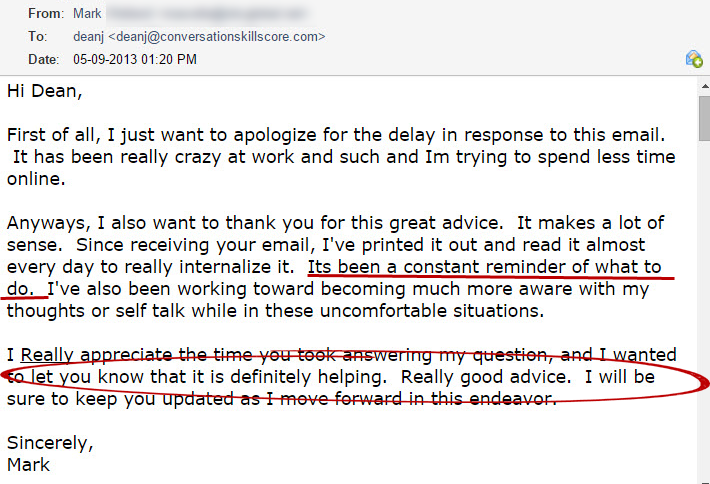 Q.Can't I just get conversation advice for free on the internet? A.Well sure you could, but you get what you pay for. Free advice on the internet usually doesn’t take into account the insecurities many of us face. So it only works if you’re already confident. I’ve dealt with shyness and lack of confidence personally. 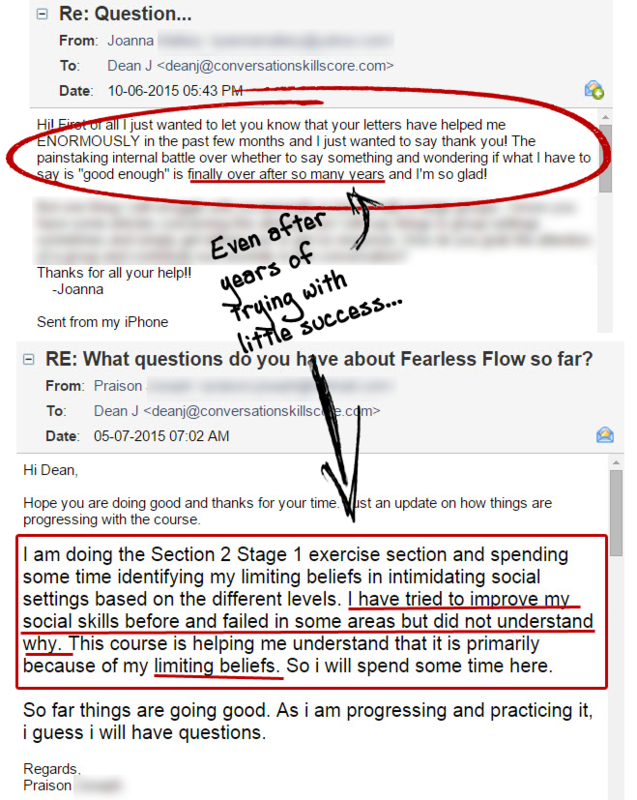 So the strategies in fearless flow aren’t just regurgitated from someone else. They’ve been researched, tested and refined so you can reach a new peak of confidence fast. "The Examples You Gave Really Hit Home With Me..."
The examples you gave really hit home with me and helped me realize what I am doing wrong. im excited to try out these new techniques and to really work on my self-knowledge. "Thank You Dean For All You've Done To Provide This Incredible Tool..."
Thank you, Dean, for all you’ve done to provide this incredible tool; and all your patience and encouragement along the way. "I Spend My Days More Constructively Working On Your Lessons..."
"I Can Now Talk To Anybody One-On-One With Little Difficulty..."
My #1 problem around people is with groups. Thanks to your website and videos, I can now talk to anybody one-on-one with little difficulty. On this page I reveal how my students and I have successfully transformed our social lives. Many times I’ll mention specific reactions from strangers and improvements in social ability we’ve gotten using my confidence and social skills systems. All told, 100s of lives have been touched and changed. Please understand I am absolutely NOT — repeat, am not — implying these results are typical. Such a claim would be ridiculous. Especially considering we’ve (probably) never met, and I don’t know your current level of confidence, social skills, or anything else about who you are. Just investing in Fearless Flow won’t make you confident. Reading is not enough. Serious, BOLD action and execution is required on your part. Only YOU can do that! Having said that, what I’ll be teaching and revealing to you in Fearless Flow has worked very well for me and many of my customers. Which is why I’m giving you a chance to test drive my system in your social life. Guaranteed you get results or your money back. You’ve got nothing to lose, and a huge amount to gain. Hope to see you on the inside, and sharing your amazing results with me. For Product Support, please contact the vendor HERE. For Order Support, please contact ClickBank HERE.